The good people over at Lethal Amounts opened their retail shop and gallery space this past Saturday at their new location just west of Downtown in Los Angeles. 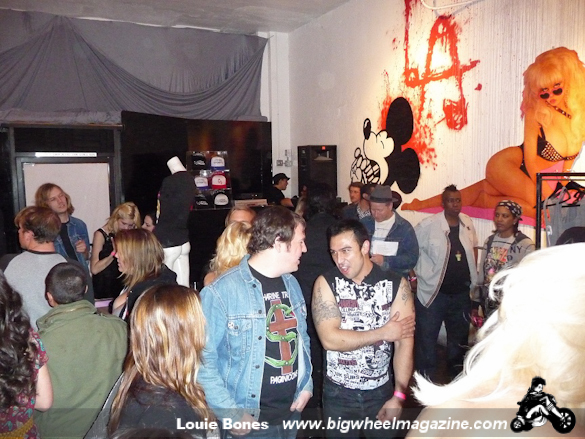 Not ones to do things quietly, the crew at “LA” kicked things off with an art show celebrating the life, career and cult mystique that is Angelyne in all her greatness. 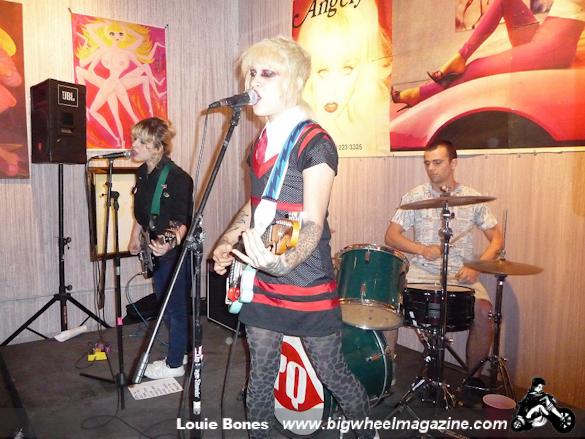 Music and entertainment was provided by Goddess Bunny, DJ Howie Pyro and New York Punks Youth Quake, who did an absolutely amazing cover of “Goodbye Horses”. A number of Angelyne’s personal memorabilia and billboard collection found itself hung on the galleries walls or behind glass on display for casual and die hard fans to admire, many of which at one point were billboards that advertised her presence in Hollywood during the 1980’s. Some items were as rare as they get while a few were pieces more commonly seen. A number of original Lethal Amounts designs were for sale to the public as well. Everything from the Jesus inspired GG Allin toilet seat to the suicidal Mickey Mouse and soon to be classic “LA safety pin” design flew off the racks and is hopefully how things will continue to be over there. 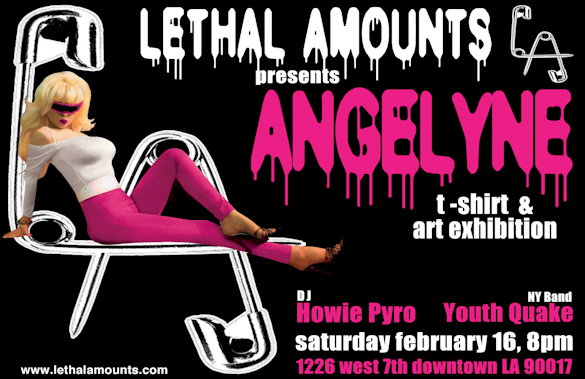 What would an Angelyne art show be with out an appearance from the cult figure herself? Not one that Lethal Amounts would endorse! In true fabulous style Angelyne pulled up to the event in her little pink Corvette where fans surrounded and awaited the opportunity to take photos with perhaps Hollywood’s most notorious blonde bombshell. Corvettes are mostly known for their sleek looks and racing abilities, however Angelyne uses hers as a mobile merchandise booth as she sells droves of shirts out of her pink trunk, and boy did she sell a ton that night. If you missed out, don’t fret as the Angelyne show runs till February 27th, a limited edition t shirt is also available for purchase. Best of all the grand opening attracted a wide variety of subculture enthusiasts celebrating a true DIY ran company and gallery space. Punk rockers, metal heads, transvestites, stoners and street artists converged for a truly unique shops birth and we were glad to be there as it was the place to be that weekend. Good luck to our friends over at Lethal Amounts, we’re happy to see your shop up and running and we wish you all a ton of success.